UPDATE: According to ONR, Sea Fighter successfully weathered Hurricane Michael and is currently off the coast of Panama City waiting for clearance to pull into port. An experimental Navy catamaran is fighting Hurricane Michael in the bay of Panama City, Fla., unable to take to sea to avoid the Category 4 storm that made landfall early afternoon on Wednesday. The 950-ton Sea Fighter (FSF-1) is at double anchor in the bay, “engines running and nose to the wind” with a minimal crew aboard, Office of Navy Research spokesman Robert Freeman told USNI News on Wednesday. The ship is fresh out of a maintenance period, and repairs to its propulsion and steering systems couldn’t be tested in time to escape the weather. “The timing was bad,” Freeman said. Ultimately, it was the decision of the ship’s civilian master to weather the storm in the bay, he said. 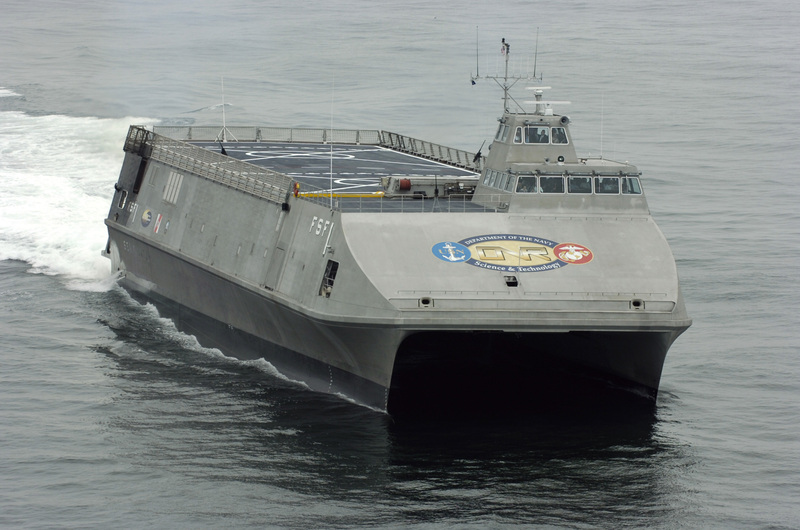 The aluminum-hulled Sea Fighter has been in service with the Navy since 2005 as a test platform for the Naval Surface Warfare Center Panama City and the Office of Naval Research. 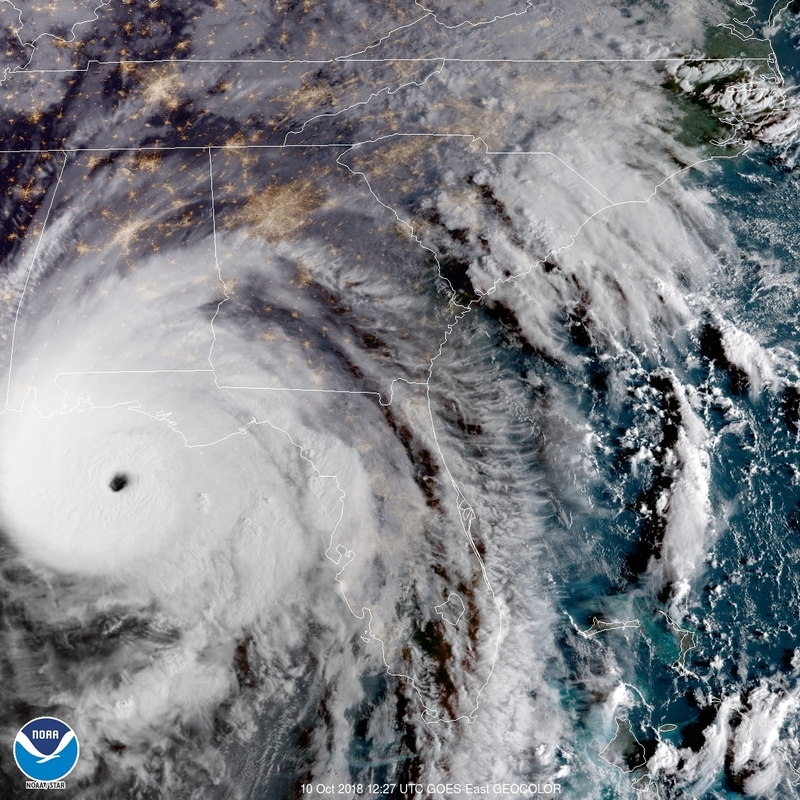 The warfare center at Panama City was the only U.S. naval base that was evacuated in preparation for Hurricane Michael’s landfall, Navy Region Southeast spokesman Bill Dougherty told USNI News on Wednesday. Of the 4,200 personnel at the center, a handful of critical personnel are weathering the storm at the base, he said. The Navy has either relocated or hangared its fleet of training aircraft at Naval Air Station Pensacola and Naval Air Station Whiting Field in Florida, Chief of Naval Air Training spokesman Lt. Liz Feaster told USNI News. At Whiting Field, the combined 260 T-6 Texan trainers and TH-57 Sea Ranger helicopter trainers of Training Air Wing 5 are in hangars or have been secured to the flight line. At Pensacola, about half of Training Air Wing 6’s combined total of 63 T-45 Goshawks and T-6s left the base, with the other half in hangars, Feaster said.